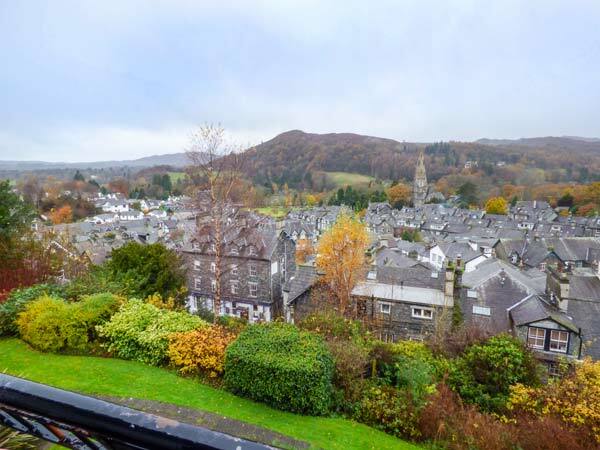 Rothay 17 is a comfortable apartment located in Ambleside in Cumbria. Set over the second and third floors, the apartment sleeps six people in two bedrooms, comprising one king-size double and one twin, as well as a family bathroom and a shower room. The apartment also contains a kitchen with dining area and a sitting room with a double drop down bed. To the outside of the apartment is off road parking for one car and a balcony with furniture. 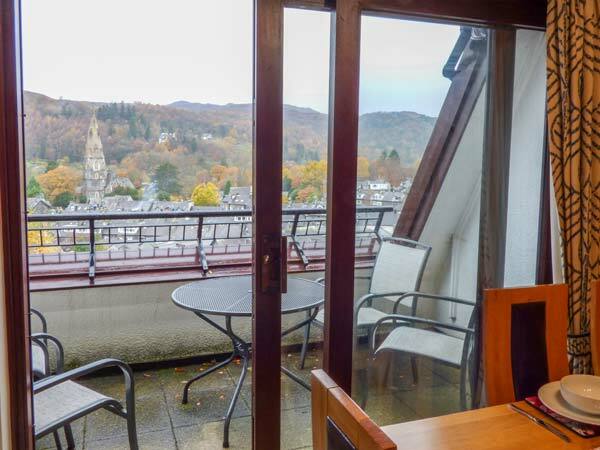 Located in stunning countryside, Rothay 17 is a lovely apartment to explore the many delights of the area. Over second and third floors. Two third floor bedrooms: 1 x king-size double, 1 x twin. Third floor bathroom with shower/bath, basin and WC. Second floor shower room with shower, basin and WC. Second floor kitchen with dining area. Second floor sitting room with drop-down double bed.